Bone marrow is a complex organ containing undifferentiated cells from which the various constituents of blood originate. Under the control of hormones, cytokines and growth factors, normal marrow is susceptible to proliferation or suppression secondary to multiple influences, to include infection, medications, radiation, toxins, neoplasms, and nutritional deficiencies, among others.1 While histopathologic examination is the primary means for evaluating bone marrow, detection of marrow abnormality often occurs during medical imaging. In part I of our review, the normal MRI appearance of bone marrow and its pattern of maturation from birth to adulthood will be discussed. We will then discuss disease processes characterized by marrow depletion, followed by a discussion of treatment-related marrow changes and marrow conditions which are not otherwise easily categorized. In part II of our review, bone marrow edema, myeloproliferative disease, marrow infiltration and replacement, and marrow ischemia will be covered in detail. The natural progression from birth to adulthood is a gradual shift from predominantly cellular or “red marrow,” to a mixture of predominantly fatty or “yellow marrow,” a process termed “marrow conversion.” With aging, there is a concomitant decline in the number of trabeculae. 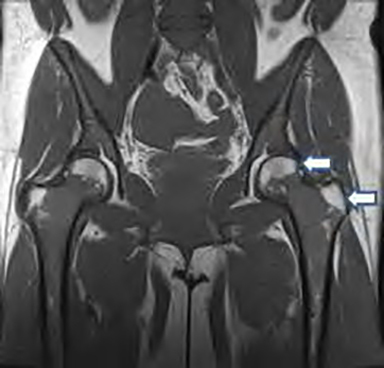 The shift toward predominantly fatty marrow follows a predictable pattern, occurring first in the appendicular skeleton followed by the axial skeleton. The process is usually completed by 25 years of age. 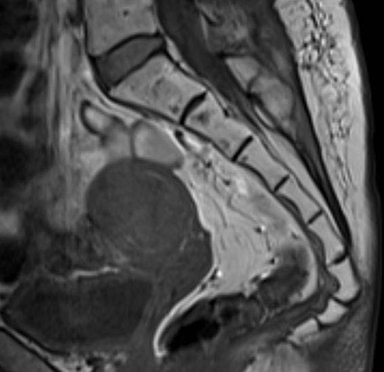 Normal marrow in late fetal and early infant life is characterized by a high concentration of red marrow throughout the axial and appendicular skeleton. 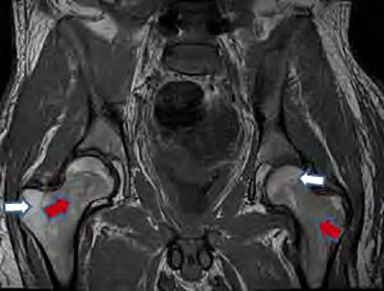 Thus, the diaphyses and metaphyses of long bones on MRI have low T1 signal, while unossified epiphyses and apophyses composed predominantly of cartilage exhibit intermediate signal on T1 weighted images (figs. 1 and 2).5,13 Later, when epiphyses and apophyses ossify, yellow marrow becomes evident within the ossification centers as areas of hyperintense T1 signal. In the second decade of life, continued conversion of predominantly red marrow to predominantly yellow marrow in the diaphyses of long bones is accompanied by recession of red marrow from the distal metaphyses. Thus, there is a slightly greater proportion of yellow marrow in the distal metaphyses, resulting in progressively increasing hyperintense signal on T1 weighted images (figs. 5 and 6). By the middle of the third decade, the mature or adult pattern of marrow is achieved with yellow marrow predominating throughout the appendicular skeleton, except for the proximal metaphyses of the femora and humeri (figs. 7 and 8). 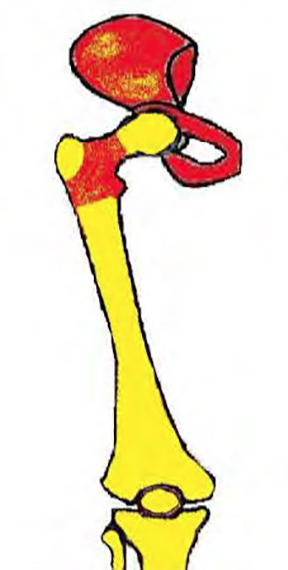 In the proximal femur, marrow conversion has been further characterized by Ricci’s group who reported 4 distinct patterns with progressive loss of red marrow from the medial femoral neck, a phenomenon they proposed was related to mechanical stress.8 Eventually, complete recession of red marrow from the proximal femoral metaphyses develops later in life, occurring as early as 35 years of age in men and 55 years of age in women.4 This results in a near homogeneous hyperintense signal on T1 weighted images (fig. 8). The axial skeleton includes the spine, ribs, sternum, skull, and pelvis. It serves as a repository of red marrow throughout life, with marrow conversion occurring much slower and to a lesser extent than in the appendicular skeleton. In the spine, the pattern of marrow conversion often is less predictable. Ricci’s group described 4 patterns of marrow in the spine among varying age groups. In their study, the majority of subjects in the youngest group (ages less than 20) demonstrated a pattern of diffuse homogenously hypointense T1 signal within the vertebral bodies with linear hyperintense signal along the upper and lower margins of the basivertebral veins.8 Therefore, early in life, widespread red marrow results in lower signal intensity than adjacent intervertebral discs on T1 weighted images (Fig. 9). When the body fails to upregulate hematopoiesis to maintain homeostasis and the overall amount of red marrow elements becomes depressed, this is termed marrow depletion. Histologic evaluation of marrow depletion reveals hypocellular or acellular marrow on a background of diffuse fatty replacement, or predominantly yellow marrow. This pattern of abnormal marrow can be seen following treatment with chemotherapy or radiation, as well as with aplastic anemia of any cause. While diagnosis of marrow depletion is usually made with serological evaluation, medical imaging is useful for evaluation of recurrent disease or to evaluate response to therapy in the case of aplastic anemia. The earliest description of aplastic anemia was by Erlich in 1888 who published a case of a young pregnant woman who presented with bleeding, fever, and severe anemia. She was found to have marrow largely devoid of blood-forming elements at autopsy.25 Aplastic anemia is a relatively rare condition characterized by anemia with pancytopenia on peripheral smear (decreased circulating blood elements) and hypocellularity of the bone marrow (decreased progenitor cells). Aplastic anemia can be inherited (Fanconi anemia), acquired, or idiopathic. While the majority of cases are idiopathic, the list of acquired causes includes toxins (benzene), medications (Chloramphenicol, Carbamazepine, Phenytoin), infection (parvovirus and viral hepatitis), and radiation and chemotherapy treatment. Aplastic anemia has also been associated with connective tissue disease (systemic lupus erythematosus) and pregnancy. On MRI, aplastic marrow tends to have diffusely hyperintense T1 signal because of predominantly fatty marrow. This is most conspicuous in areas typically dominated by red marrow, such as the spine and pelvis (Fig. 14). Occasionally, aplastic marrow can appear heterogeneous on T1 weighted sequences with areas of patchy low signal corresponding to foci of fibrosis. During treatment, myeloid elements may begin to return and T1 weighted images will show scattered small islands of hypointense signal corresponding to foci of resurgent red marrow.26 This appearance can be confused with areas of fibrosis, neoplasm, or myelodysplastic disease. While the majority of marrow conditions fall within larger categories (marrow depletion, proliferation, replacement, infiltration, edema and ischemia), there are some conditions which are difficult to categorize but deserve mention among miscellaneous conditions. Osteopetrosis is a hereditary skeletal dysplasia characterized by abnormal osteoclastic activity, resulting in a generalized pattern of diffusely increased bone density. Four distinct subtypes have been described: precocious or “infantile” (autosomal recessive and lethal), delayed (autosomal dominant and mild), intermediate (autosomal recessive), and tubular acidosis type (with characteristic cerebral calcifications).36 Abnormal osteoclastic activity affects bony remodeling such that there is poor cortical and medullary differentiation, leading to undertubularization, metaphyseal widening, and dense metaphyseal bands. Despite the increase in density, bones are structurally weak and prone to fracture. Classically, there is a “bone within a bone” appearance, which in the spine has been described as the “sandwich” vertebra sign. Abnormal remodeling of cranial nerve foramina can result in deafness and blindness. 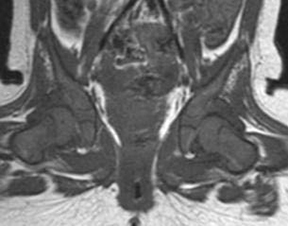 Paget disease is commonly seen in men over 40 years of age and of European descent. Hallmark radiographic features include bony expansion with trabecular and cortical thickening. While its cause is poorly understood, the disease is thought to be related to an imbalance of osteoclastic and osteoblastic activity. It is characterized by three phases of the disease: (a) purely lytic, (b) mixed lytic and blastic, and (c) purely blastic. 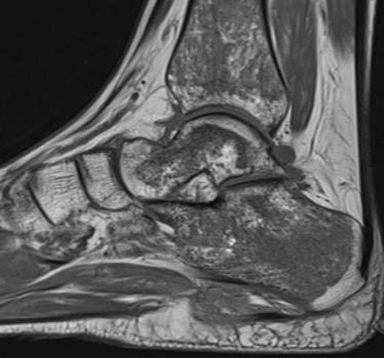 While the diagnosis of Paget disease is typically made on the basis of the radiographic appearance, MRI can be useful in the evaluation for complications of Paget disease, to include osteomyelitis, sarcomatous degeneration, giant cell tumor formation (skull), and metastases to hypervascular Pagetic bone. 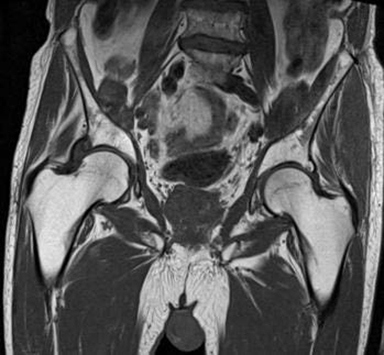 The MRI appearance is variable but thought to reflect the state of the marrow as it is influenced by the various phases of disease, which can occur simultaneously. Early disease without significant marrow disturbance will appear normal with the exception of decreased size of the marrow space due to cortical thickening. Between the lytic and mixed phases (which are considered the more active phases), the marrow space appears heterogeneous on T1 and T2 weighted images (Fig. 17). 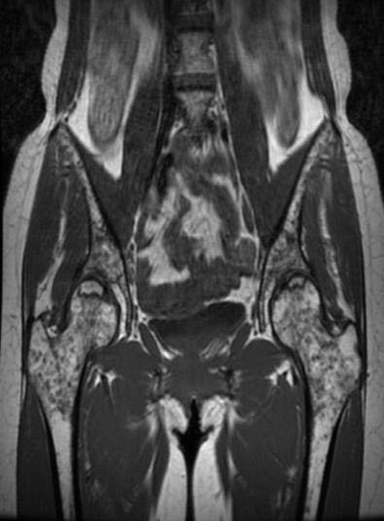 This is likely related to deposition of fibrovascular tissue, which appears hypointense on T1 but hyperintense on T2 weighted images because of granulation tissue and slow blood flow through vascular channels.38 Other foci of hyperintense signal on T1 are possibly related to areas of fatty filled marrow spaces.38 Unfortunately, the MRI appearance can be nonspecific and resemble that of infection or neoplasm. The most common of the lysosomal storage diseases, Gaucher disease is characterized by a deficiency of glucocerebrosidase, which results in abnormally high levels of glucocerebroside that is taken up by histiocytes (termed Gaucher cells).39 Proliferation of Gaucher cells ensues with accumulation of glycolipids throughout the reticuloendothelial system. Within the marrow, this ultimately leads to cellular necrosis, fibrous proliferation, and loss of spongy trabeculae.36 Expansion of the marrow space by lipid-laden Gaucher cells results in the Erlenmeyer flask deformity of the femora. Additionally, there is generalized osteoporosis with progressive weakening of subchondral bone, predisposing affected patients to fracture. 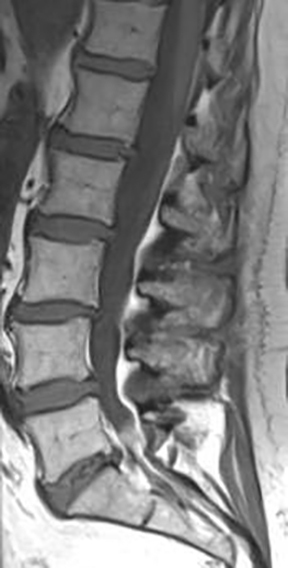 Vertebral fractures may manifest as vertebra plana or an H-shaped vertebra, similar to that seen in sickle cell disease.36,40 Elsewhere, weakening of the bone and osteonecrosis can be a nonspecific finding indistinguishable from other causes of avascular necrosis. 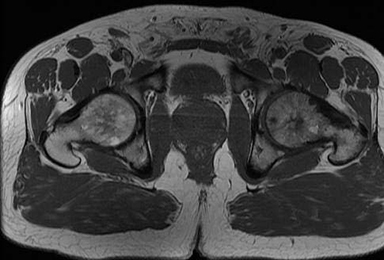 On MRI, Gaucher disease is nonspecific with patchy heterogeneous hypointense signal on T1 and T2 weighted images, similar to that seen in marrow infiltrative disease. 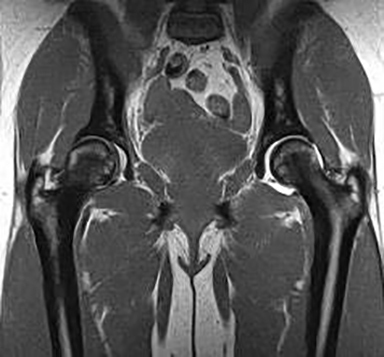 With osteonecrosis, there may be areas of hyperintense T2 signal acutely which later become hypointense when necrosis is chronic (Fig. 18). Deposition of iron in marrow occurs in conditions where there is increased breakdown of erythrocytes (such as sickle cell anemia or thallassemia), iron overload (as in those who are on chronic blood transfusion therapy), or when there is overall abnormal absorption (such as in primary hemochromatosis). Common to all is a diffuse pattern of marked hypointense marrow signal on both T1 and T2 weighted images with blooming artifact on T2 gradient echo imaging. In patients with profound loss of body fat stores, as in patients who have severe cachexia, anorexia nervosa, or acquired immunodeficiency syndrome, a phenomenon known as serous atrophy or gelatinous transformation of the bone marrow can occur. Histologic descriptions of the marrow in these patients show a gray-pink gelatinous or serous marrow that contains atrophied fat and hematopoietic cells set on a matrix rich in hyaluronic acid.41 This watery matrix results in marked hyperintense signal intensity on T2 weighted images with hypointense signal on T1 weighted images (Fig. 19). The process may be focal or diffuse.42 Furthermore, the progression of disease mimics the pattern observed with normal marrow conversion, namely transformation begins in the hands and feet, followed by the long bones of the distal arms and legs, before finally affecting the spine and pelvis. 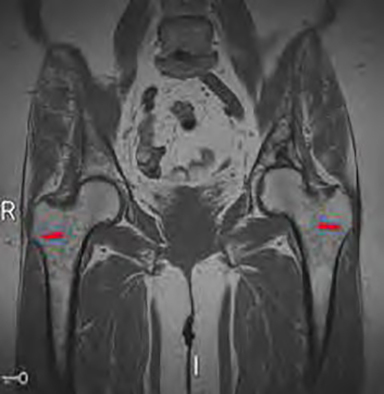 In conclusion, interpretation of marrow on MRI requires an understanding of the normal pattern of marrow maturation or conversion, as well as an understanding of how the hematopoietic and fatty constituents of marrow contribute to the normal MRI appearance. Knowledge of the normal appearance of marrow allows for recognition of pathologic marrow processes. In part I of this review, we discussed marrow conversion and reconversion, as well as disorders of marrow depletion and important but miscellaneous processes which are otherwise difficult to categorize. In part II of our review, additional marrow conditions such as bone marrow edema, infiltration, and replacement; myeloproliferative disease; and marrow ischemia will be discussed. Travlos GS. Normal Structure, Function, and Histology of the Bone Marrow. Toxicologic Pathology 2006; 34:548-565. Vogler JB, Murphy WA. Bone Marrow Imaging. Radiology 1988; 168:679-693. Abboud CN, Lichtman MA. Structure of the marrow and the hematopoietic microenvironment. In: Williams Hematology, Eighth Edition (K Kaushansky, MA Lichtman, E Beutler, TJ Kipps, U Seligsohn, JT Prchal, eds) McGraw-Hill, New York, 2010. Vande berg BC, Malghem J, Lecouvet FE, Maldague B. Magnetic resonance imaging of the normal bone marrow. Skeletal Radiology 1998; 27:471-483. Moore SG, Dawson KL. 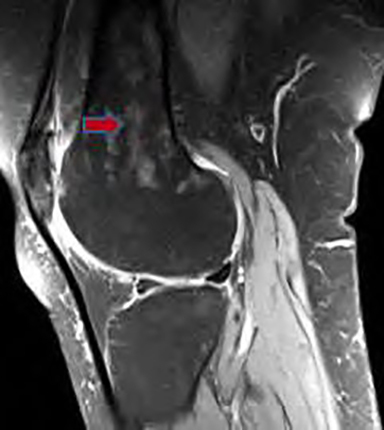 Red and yellow marrow in the femur: age-related changes in appearance at MR imaging. Radiology 1990; 175:219-223. Moore SG, Bisset GS, Siegel MJ, Donaldson JS. 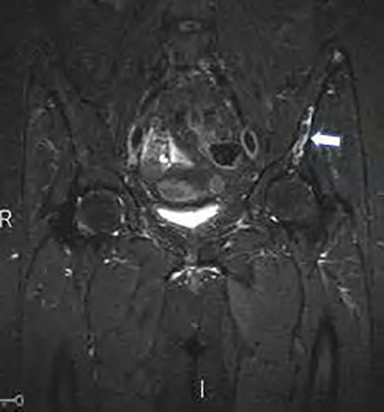 Pediatric Musculoskeletal MR Imaging. Radiology 1991; 179:345-360. Andrews CL. 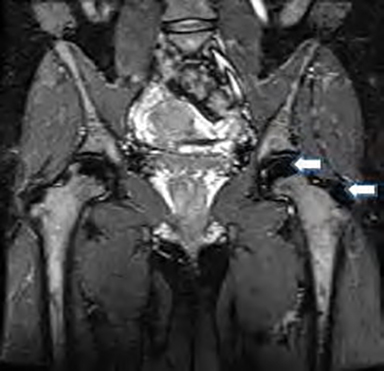 Evaluation of the Marrow Space in the Adult Hip. Radiology 2000; 20:S27-S42. Ricci C, Cova M, Kang YS, Yang A, Rahmouni A. Scott MW. Zerhouni EA. Normal Age-Related Patterns of Cellular and Fatty Bone Marrow Distribution in the Axial Skeleton: MR Imaging Study. Radiology 1990; 177:83-88. Vande berg BC, Malghem J, Lecouvet FE, Maldague B. Magnetic Resonance imaging of normal bone marrow. European Radiology 1998;8:1327-1334. Hwang S, Panicek DM. Magnetic Resonance Imaging of Bone Marrow in Oncology, Part I. Skeletal Radiology 2007;36:913-920. Waitches G, Zawin JK, Poznanski AK. 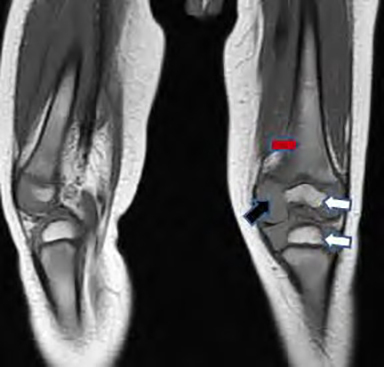 Sequence and Rate of Bone Marrow Conversion in the Femora of Children as Seen on MR Imaging: Are Accepted Standards Accurate? Am J Roentgenol. 1994 Jun;162(6):1399-406. 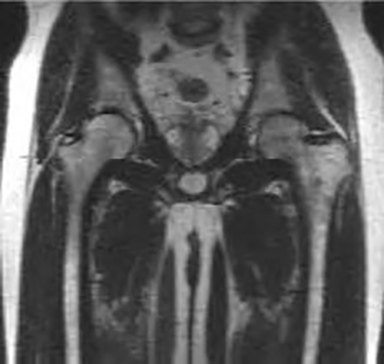 Foster K, Chapman S, Johnson K. MRI of the marrow in the paediatric skeleton. Clinical Radiology 2004;58:651-673. Siegel MJ, Luker GD. Bone marrow imaging in children. Magn Reson Imaging Clin N Am. 1996 Nov:4(4)771-96. Steiner RM, Mitchell DF, Rao VM, et al. Magnetic resonance imaging of bone marrow: diagnostic value in diffuse hematologic disorders. Magn Reson Q 1990;6:17-34. 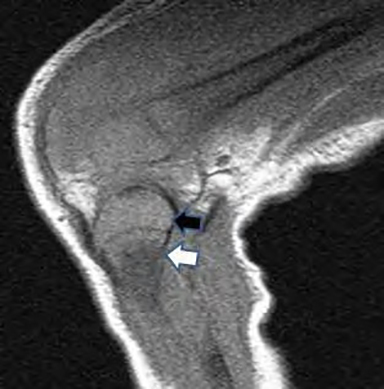 Mirowitz SA, Hematopoietic bone marrow within the proximal humeral epiphysis in normal adults: investigation with MR imaging. Radiology. 1993 Sep;188(3):689-93. Poulton TB, Murphy WD, Duerk JL, Chapek CC, Feiglin DH. Bone marrow reconversion in adults who are smokers: MR Imaging findings. Am J Roentgenol. 1993 Dec;161(6):1217-21. Deutsch AL, Mink JH, Rosenfelt FP, Waxman AD. 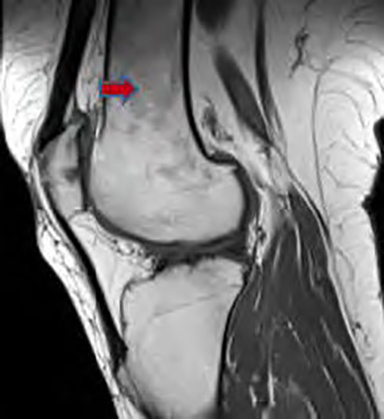 Incidental detection of hematopoietic hyperplasia on routine knee MR imaging. Am J Roentgenol. 1989 Feb;152(2):333-6. Bordalo-Rodrigues M, Galant C, Lonneux M, Clause D, Vande Berg BC. 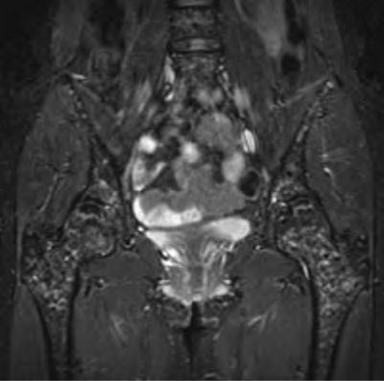 Focal nodular hyperplasia of the hematopoietic marrow simulating vertebral metastasis on FDG positron emission tomography. AJR Am J Roentgenol. 2003 Mar;180(3):669-71. Caldemeyer KS, Smith RR, Harris A, Williams T, Huang Y, Eckert GJ, Slemenda CW. Hematopoietic bone marrow hyperplasia: correlation of spinal MR findings, hematologic parameters, and bone mineral density in endurance athletes. Radiology. 1996 Feb;198(2):503-8. Vande Berg BC, Lecouvet FE, Galant C, Maldague BE, Malghem J. Normal Variants and Frequent Marrow Alterations that Simulate Bone Marrow Lesions at MR Imaging. Radiol Clin N Am 2005; 43:761-770. Carroll KW, Feller JF, Tirman PF. Useful internal standards for distinguishing infiltrative marrow pathology from hematopoietic marrow at MRI. J Magn Reson Imaging. 1997 Mar-Apr;7(2):394-8. Kaplan PA, Asleson RJ, Klassen LW, Duggan MJ.Bone marrow patterns in aplastic anemia: observations with 1.5-T MR imaging. Radiology. 1987 Aug;164(2):441-4. Sacks EL, Goris ML, Glatstein E, Gilbert E, Kaplan HS. Bone marrow regeneration following large field radiation: influence of volume, age, dose, and time. Cancer. 1978 Sep;42(3):1057- 65. Ramsey RG, Zacharias CE.MR imaging of the spine after radiation therapy: easily recognizable effects.AJR Am J Roentgenol. 1985 Jun;144(6):1131-5. Casamassima F, Ruggiero C, Caramella D, Tinacci E, Villari N, Ruggiero M.Hematopoietic bone marrow recovery after radiation therapy: MRI evaluation.Blood. 1989 May 1;73(6):1677-81. Stevens SK, Moore SG, Kaplan ID. 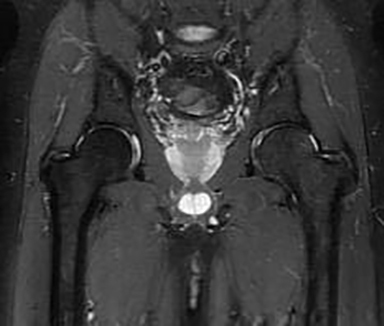 Early and late bone- marrow changes after irradiation: MR evaluation. AJR Am J Roentgenol. 1990 Apr;154(4):745-50. 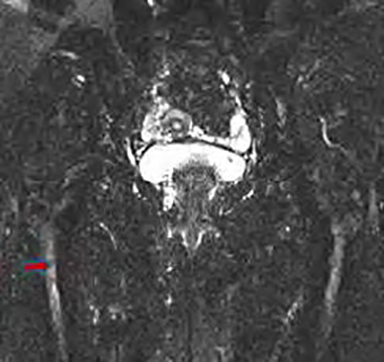 Blomlie V, Rofstad EK, Skjønsberg A, Tverå K, Lien HH.Female pelvic bone marrow: serial MR imaging before, during, and after radiation therapy.Radiology. 1995 Feb;194(2):537-43. Yankelevitz DF, Henschke CI, Knapp PH, Nisce L, Yi Y, Cahill P.Effect of radiation therapy on thoracic and lumbar bone marrow: evaluation with MR imaging. AJR Am J Roentgenol. 1991 Jul;157(1):87-92. Otake S, Mayr NA, Ueda T, Magnotta VA, Yuh WT. Radiation-induced changes in MR signal intensity and contrast enhancement of lumbosacral vertebrae: do changes occur only inside the radiation therapy field? Radiology. 2002 Jan;222(1):179-83. Fletcher BD, Wall JE, Hanna SL. Effect of hematopoietic growth factors on MR images of bone marrow in children undergoing chemotherapy.Radiology. 1993 Dec;189(3):745-51. McAlister WH, Herman TE. Osteochondrodysplasias, Dysostoses, Chromosomal Aberrations, Mucopolysaccharidoses, and Mucolipidoses. In: Bone and Joint Imaging, Third Edition (Resnick D, Kransdorf MJ, eds) Elsevier Saunders, Philadelphia, PA, 2005. Rao VM, Dalinka MK, Mitchell DG, Spritzer CE, Kaplan F, August CS, Axel L, Kressel HY. Osteopetrosis: MR characteristics at 1.5 T. Radiology. 1986 Oct;161(1):217-20. Roberts MC, Kressel HY, Fallon MD, Zlatkin MB, Dalinka MK. 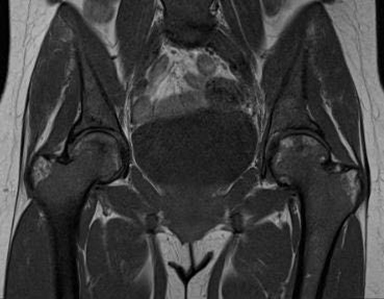 Paget disease: MR imaging findings. Radiology. 1989 Nov;173(2):341-5. Manaster BJ, Disler DG, May DA. Musculoskeletal Imaging The Requisites, Second Edition. Mosby, Saint Louis, MO, 2002. Vande Berg BC, Malghem J, Lecouvet FE, Lambert M, Maldague BE. Distribution of serouslike bone marrow changes in the lower limbs of patients with anorexia nervosa: predominant involvement of the distal extremities. AJR Am J Roentgenol. 1996 Mar;166(3):621-5. Vande Berg BC, Malghem J, Devuyst O, Maldague BE, Lambert MJ. Anorexia nervosa: correlation between MR appearance of bone marrow and severity of disease. Wang DT. 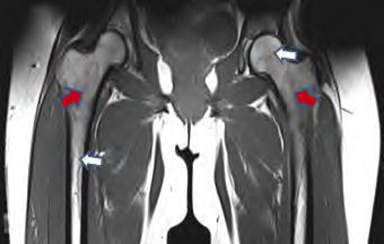 Magnetic Resonance Imaging of Bone Marrow: A Review – Part I. J Am Osteopath Coll Radiol. 2012;1(2):2-12.